Munger's gift is the largest in the University of Michigan's history. They may not have prevailed in March Madness, but Charlie Munger has given University of Michigan fans something to cheer about. 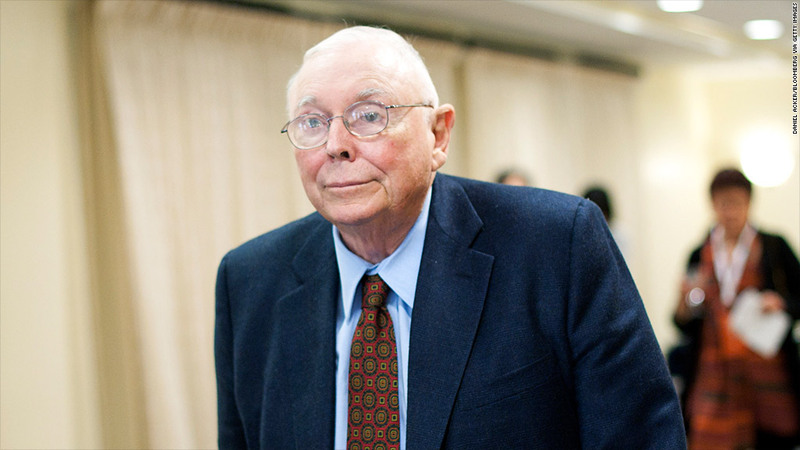 Munger, a close associate of legendary investor Warren Buffett, has pledged $110 million in securities to the Ann Arbor-based university. The gift, the largest in Michigan's 196-year history, will support the construction of new housing for graduate students intended to promote interaction among those from different disciplines, the university said in a statement Thursday. Munger, 89, said in the statement that he does not deserve excessive praise for his donation. "I waited until my 90th year before making the gift, then gained friendship and creative joy in working with the university in a very interesting design effort likely to have a good outcome, while I parted with assets I soon won't need," Munger said. Forbes Magazine pegged Munger's net worth at $1.1 billion as of last month. As the vice chairman of Berkshire Hathaway (BRKA), he works closely with Buffett in guiding the firm, and the two take the stage together at the company's annual meetings. Munger has already donated millions of dollars to support educational institutions. In 2004, he gave Stanford University $43.5 million for graduate-student housing, and has also donated to a variety of schools and other organizations near his home in the Los Angeles area. Munger donated $3 million to Michigan's Law School in 2007, and gave the university $20 million for housing renovations in 2011. U-M president Mary Sue Coleman said Munger "is passionate about improving graduate student housing, and believes that educating one's self, in the right setting, is very powerful."